I have had a hand in designing a few menu systems over the years, and I have always disliked combo products. You know what I mean: the VSA form, plus maintenance and PDR, on which Marketing has found an extra square inch to offer road hazard. Menu people hate combo products because the whole point of menu selling is for the F&I Manager to combine products into menu columns, not the combinations defined by the provider’s form. What if she wants to sell the factory’s VSA, but her own choice of ancillary products? One cavil I sometimes hear is the definition of “a product,” but this is straightforward. If it can be sold separately, like key protection, then it’s a product. If it always rides on another contract, like car rental, then it’s not. The correct data structure thus has discrete products at the top level, then coverages with their rates, and form codes at the bottom. Obviously, you can have different forms based on coverage, and you can have the same form for multiple products. Then, in the contracting phase, you collect the products onto the forms as indicated. Combo products persist because providers legitimately want to reduce the number of forms they manage. The two-phase approach solves this. Also, there are old-timers who design products based on the form. I have even seen F&I shops where the completed contract form is used as a selling tool. The package discount is the only serious challenge to the menu system. A workaround here is to include a phantom product with no display and a negative price – although that may be as much work as developing an explicit feature. Of course, if the manager chooses to discount a package other than one subsidized by a provider, then that discount is her responsibility. I’ll close with an exception to the rule or, rather, a refinement. Menu systems are compromised when we mistake forms for products. On the other hand, there is a practical limit (six) to the number of products offered on a menu. So, I can see the logic in a product that combines dent, coatings, windshield, and road hazard – especially PDR and windshield, if you think about how the services are delivered. In this case, we are not merely combining products based on a form. These products hang together in the same semantic class, appearance protection, and may indeed use separate forms. The last time you turned in your car, did you remember to get the refund on your service contract? Me neither, and I have been in this business a long time. The only way I know to get the refund is to dig up the paper contract and phone the provider. It’s like the “breakage model” behind rebates and gift cards. The first time I tried, professionally, to account for the refund was at GMAC Insurance prior to the bankruptcy. I was working on an interface to do rate quotes. Our plan was to detect the existence of a prior GMPP contract, and then apply the refund as a discount to the new contract. Imagine how many vehicles are traded or repossessed and never see the end of their VSA or GAP contracts. Actually, I don’t have to imagine, because I have statistics from Rich Apicella, who runs Express Recoveries. This is an ingenious business model, leveraging the provider relationships of F&I Express to automate VSA refunds for lenders. This is a great business for F&I Express, because it’s countercyclical. Their main business is originating product contracts and then, when times are bad, they can earn some money cancelling them. It’s also handy as a leading economic indicator. Disclosure: Intersection Technologies is a client and, although I am not working with Express Recoveries, they are just down the hall. Clients are often surprised when I say, “my work here is finished.” The consultant’s handbook says you should hang around until they’re sick and tired of you. I feel it is better, when retained for a specific task – like a startup – to do the job in good style and then move on. So it is with Provider Exchange Network. The business model is established, the software is up and patented, and the staff are fluent in their new roles. It has been my pleasure to work with the talented people at PEN, and I wish them all the best. My latest article is out in F&I Magazine, just in time for the VSCAC conference. Thanks to Greg Arroyo for his fine editing. The original “history and development of e-contracting” was not so pithy. My thesis is that, while Dealer Track succeeded in driving dealers to a totally new process for online credit, this will not happen for F&I products. With today’s technology, product providers do not need to participate in an aggregation portal. Even the providers’ own portals are suboptimal, because they impose process change on the dealer. The article gives additional reasons why providers won’t follow the Dealer Track model. As I have written here before, the best place to present products is in a system that the dealer is already using. Ideally, this means the DMS, but it could also include a menu or desking system. I am pleased to announce that another leading menu system has joined the Provider Exchange Network. Maxim Menu is a popular menu with a number of good features, including Route One integration. As Jim says in the press release, our partnership will expand the range of electronic contracting available through Maxim Menu. For a complete list of partners, please visit the PEN web site. 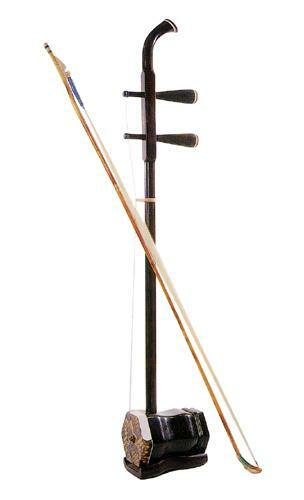 Walking through Chinatown, my wife and I gave a dollar to an old man playing Auld Lang Syne on his violin – the Chinese violin, called an erhu. This year, NADA began with the Chinese New Year, which was especially nice in San Francisco. The parade was the week after, though. We missed that. Walking past the Route One booth, I was hailed by CEO Mike Jurecki and my old friend Pat McPherson. A dealer was asking them about bi-weekly payment plans. 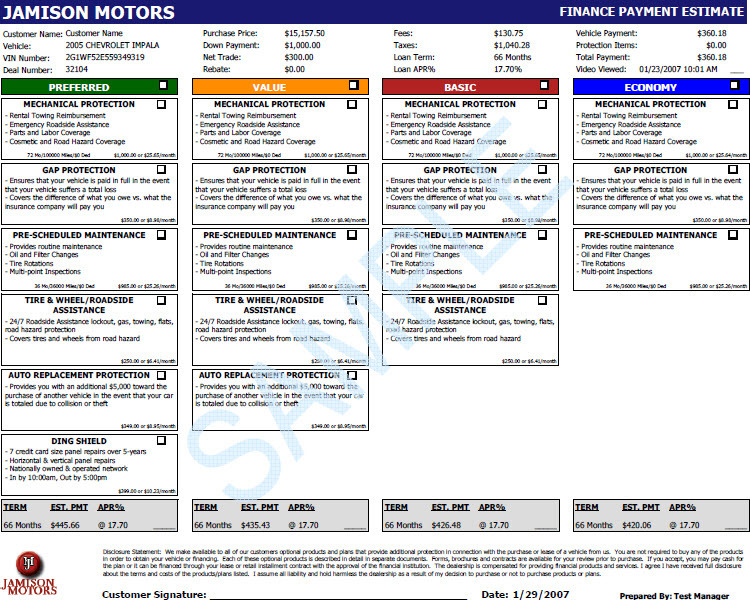 I ended up demonstrating the sales tool I had designed for U.S. Equity, on a MenuVantage account, in a Route One frame. “Mark helped us design our system, too,” Pat added. I read the dealer’s business card and said, “you sell a Resource warranty and you recently stopped using MenuVantage.” He wants Flash in his menu, so I referred him to Impact Group. My new friends include a number of menu systems – formerly competitors. We have announced the deal with Impact Group. Others are in the works. This is part of my “many to many” strategy, making PEN the single connection between all product providers and all dealer systems. I will be representing Provider Exchange Network again this year. All PEN providers will get a visit from me or Ron Greer. In addition, we will be calling on menu suppliers and other systems that might benefit from a PEN interface. For convenience, all my set meetings are at the ADP booth, and this is the best place to find me on Saturday. I will also be spending time at the Reynolds booth.